“Colors of winter” is the theme of the festival held in Da Lat City (Lam Dong Province) in the end of 2014. The festival is promised to bring about a lot of interesting activities. 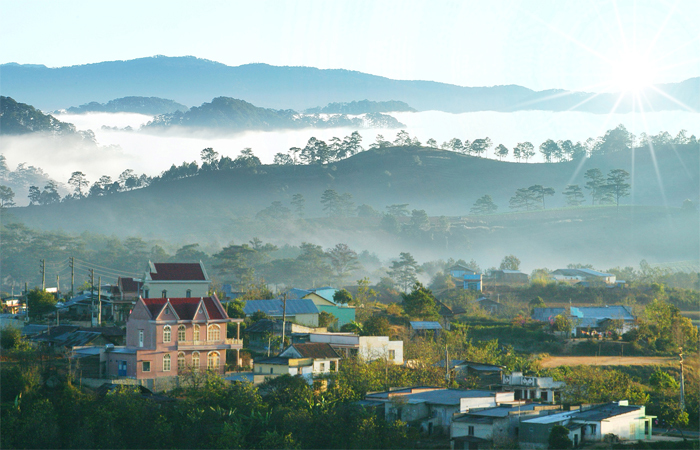 The festival is held from 23th to 27th of December with a lot of typical programs featuring for the beauty of Da Lat, including Da Lat flower space, Da Lat traditional handicraft villages, vegetable market, flower market, musical space of Da Lat – the city of love, and various wonderful tours. Besides, series of events will be launched in the poetic city such as folk performances of ethnic groups; fashion show of traditional costumes with the participation of 36 teams across the country; the 2nd international goong festival; tea festival. Along with cultural and art activities, there are also a lot of other vibrant activities such as E-sport competition, culinary competition “Golden Spoon”, photograph exhibition, etc.